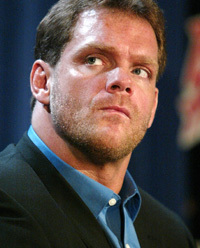 There’s been an explosive new twist in the shocking-murder suicide or pro-wrestler Chris Benoit and his family. Did someone know Benoit killed his wife more than 13 hours before her body was actually found? No – Speculation surfaced when a posting appeared on Wikipedia that his wife was dead hours before cops found her body. But on Friday, the anonymous poster insisted that his edits were based on rumors.